Join Mark Osborne from Roll and Asheel Bharos from Rightway in an evening seminar looking at the systems behind managing your design business. Mark will talk about transforming your design business with software, moving beyond Adobe Creative Suite and Microsoft Office and the future – where is business software heading? Asheel will focus on the challenges around cash flow and forward thinking around financials – particularly where jobs last several months and the need to track partial payments and WIP. He will also discuss reporting on efficiency and understanding project profitability as well as profit and loss. Numbers limited to 40 people. Mark Osborne is now one of the founders of the fast-growing tech startup Roll, but like you, started out running his own creative business at the ripe old age of 19. Since then Mark has had many business successes as well as many tribulations along the way. Some highlights include starting up txt message marketing company Silent Communications in 2006, moving on to setting up the successful digital agency 96black in 2010, who then partnered with Atlantis Healthcare in 2011 to provide innovative digital healthcare solutions in Europe and the UK. Roll is Mark’s biggest achievement to date and is set to now go global and change the way small businesses use and approach their core business software. Asheel is a qualified chartered accountant who has worked with over 50 organisations both here and in the UK ranging from sole traders to FTSE 250 listed companies. Having worked for top accounting firms such as Pricewaterhouse Coopers and BDO, Asheel has over 10 years advising service based organisations including those in the creative space. Asheel Bharos is a Regional Partner at RightWay Ltd. RightWay presents a new model of accountancy differentiating between compliance accounting such as GST and tax preparation, etc. to the skill of giving proactive business advice. The benefit of this is that the Regional Partners, can focus solely on this all too important and often neglected area. Often when you run your own business, you are juggling so many things – developing business, keep clients happy, writing proposals, doing the doing, balancing the books, fixing IT problems – and of course keeping staff happy. Wouldn’t it be so much easier if staff just managed themselves – did as they were asked, did it well, created no fuss or dramas and didn’t leave. Although this can’t be guaranteed, one major step to getting the most out of your team is to improve your skills as a leader. This workshop is about becoming a better boss and a better leader. Hello, and welcome to Design Assembly Conversations, an interview series with New Zealand graphic designers. 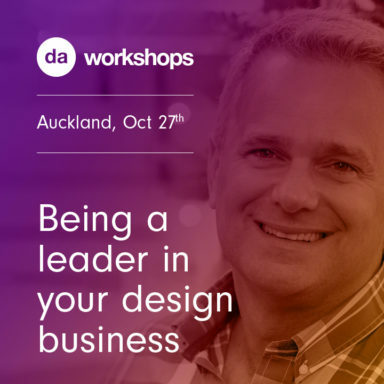 Design Assembly seeks to hear the stories of New Zealand graphic designers, get to know who we are, and celebrate New Zealand graphic design. Hi, I'm Louise, founder of Design Assembly. 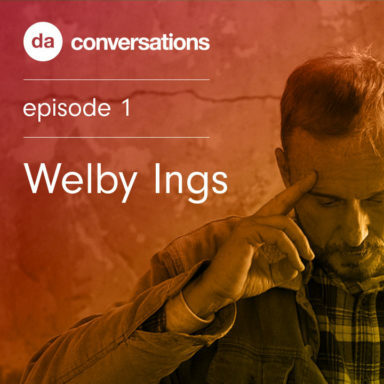 Today I'm speaking to Welby Ings. Welby Ings is a professor at the Auckland University of Technology in the Graphic Design department. He also writes and directs his own films. To date, he has produced two short films: Boy and Munted. In 2006, Boy was nominated for an Academy Award. Currently, he is working on his third short film, Sparrow.